Posted on November 25, 2018 by Ching under Events, Family. 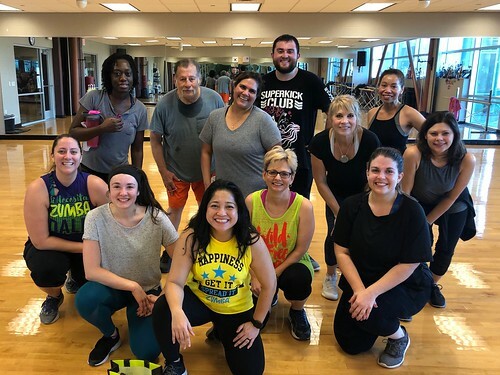 I had a Zumba-filled Thanksgiving this year. I volunteered to teach a couple of classes. 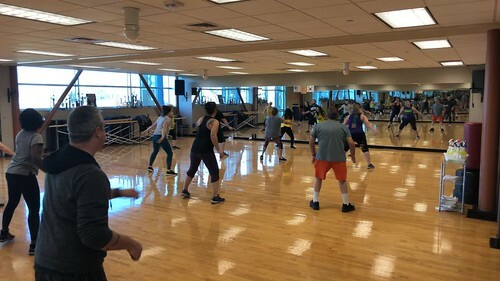 One at the Andover YMCA at 9:30 AM and then another at VASA Fitness at 11:00 AM. It was the best way to start Thanksgiving Day! 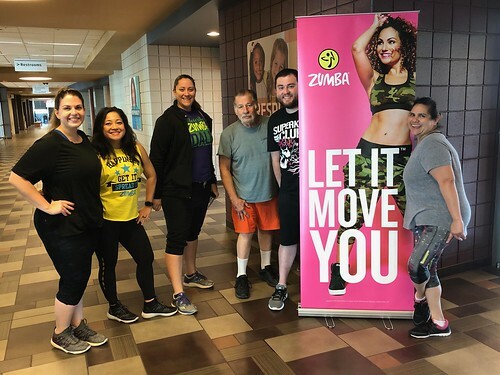 Brian even got in on the Zumba fun and danced with us! Click on the picture below to check out his awesome dance moves. It’s always so hard to get people to stay for a group photo. At least we got this one at the end, though. Such troopers! 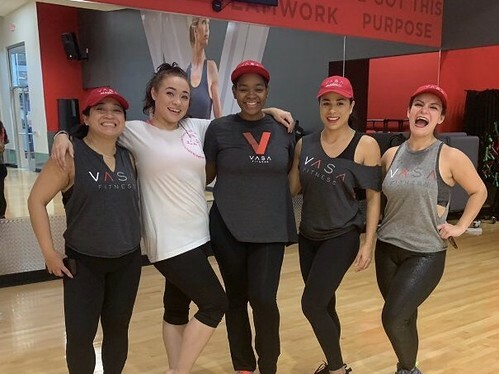 The next class was at VASA Fitness where I taught with a team of amazing Zumba instructors: (from left) Victoria, Lauren, Liz, and Jessie. 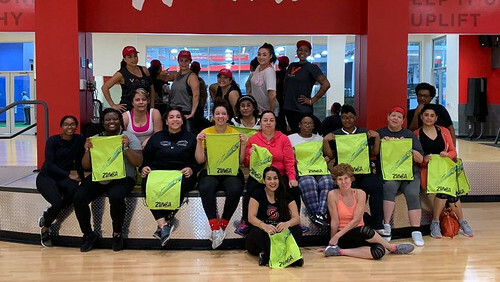 Lauren had Zumba bags for everyone. 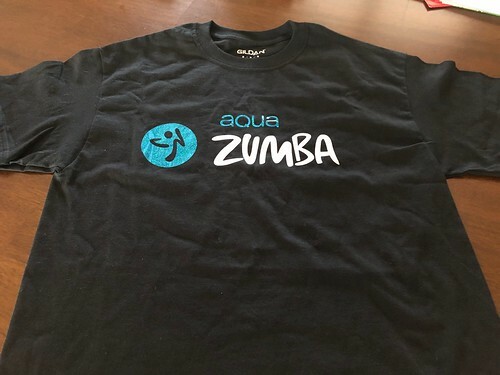 Speaking of presents, one of our Aqua Zumba regulars (Cindy) made us shirts. 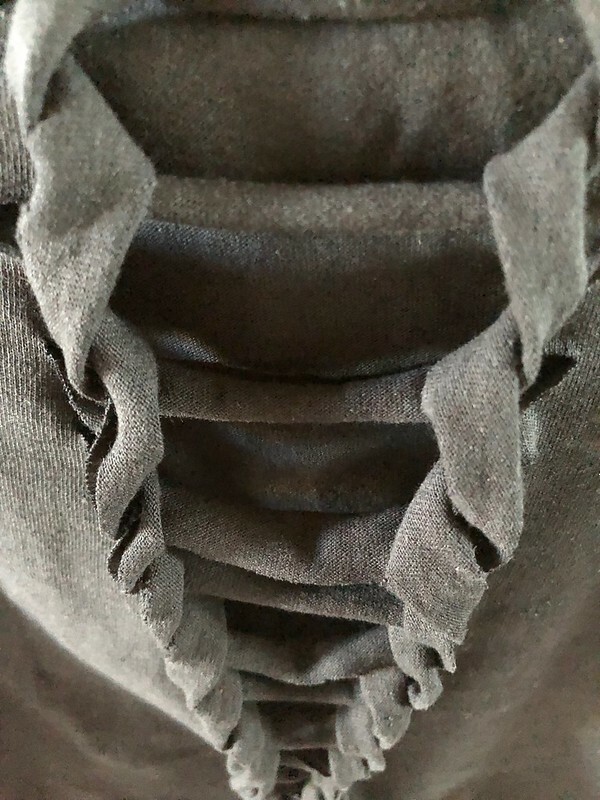 The pic above is before I customized the shirt. Below is the design I did for the back. This is Cindy, the awesome lady who made us the shirts. 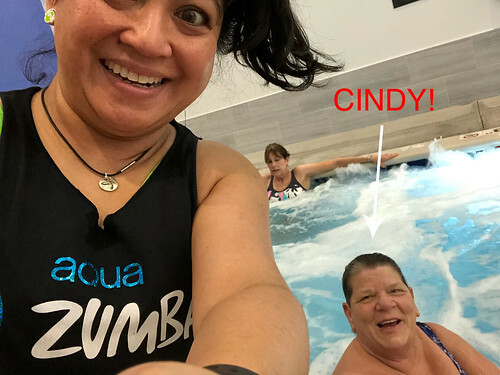 I wanted to show her how much I appreciated her present so I wore it to Aqua Zumba yesterday. The rest of Thanksgiving Day was pretty simple and quiet. We didn’t make too much food this year. We opted out of turkey and just had ham. We didn’t want to have too much food because it was just Brian, grandma, and me this year. After our Thanksgiving meal, we played Uno which is something we always do when grandma is here. She actually won this time. LOL. We also had brownie a la mode for dessert. Grandma only wanted ice cream though, and took her brownies to go instead. After everything, we had our usual video call with Brian’s parents in Oklahoma. I did some snaps but forgot to take actual pictures. I need to make sure I take some next year. After Brian took grandma home, we decided to finish the rest of our Christmas decorating. It was a super nice day and so we both agreed it was the perfect time to install our outdoor lights. We simplified this year and opted not to wrap the tree in the middle of the yard and our river birch. Not only did that take forever to install last year but it always took forever to take down. Brian decided that wasn’t going to happen again this year. After some negotiation, we compromised and decided to only light up Fern (our evergreen), the driveway, and our plants/bushes. Installing all the lights (we have six sets of solar-powered LEDs) actually took less time than looking for the lights. Brian couldn’t remember where he stored them. We looked all over — in our storage area in the basement, the garage, the coat closet, the linen closets, everywhere! We could not find them. It wasn’t until after our third time searching the garage that Brian finally found them. It would have helped if we knew what we were looking for… Brian and I both thought they were still in boxes. Brian had actually moved them to a reusable bag. We overlooked the bag several times thinking they were just our reusable grocery sacks. Once the lights were found, it took less than an hour to achieve our new and improved (and significantly simplified) lighting design — which was a good thing because Brian rented four movies for us to watch that night. Many years ago we used to do the whole Black Friday thing but things have gotten quite ridiculous and so we’ve opted out of the madness the last few years. Stores are starting their Black Friday and opening their doors at 2 PM, which is when most people are doing their Thanksgiving celebration. That’s crazy. Brian and I decided we would just stay home and watch movies instead. …in that order. Gotta love Redbox. I told Brian this reminded me of the days we would go to the drive-in and watch three movies back to back. Except this time we were watching four movies from the comfort of our own living room. Inevitably, I would doze off at some point. Not this time, though. Believe it or not, I stayed awake for all four movies. I amazed even myself. Brian originally doubted that we would be able to get through all four movies in one go. I think I stayed awake partially to prove him wrong. LOL. That, and the movies he picked were actually better than I expected. It was a wonderful Thanksgiving Day overall. 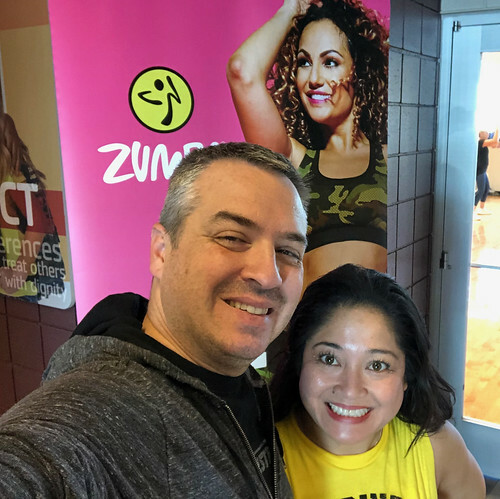 Brian and I got to do all the things we enjoy most — Zumba, food, cards with grandma, family, movies — and even finished the rest of our holiday decorating.